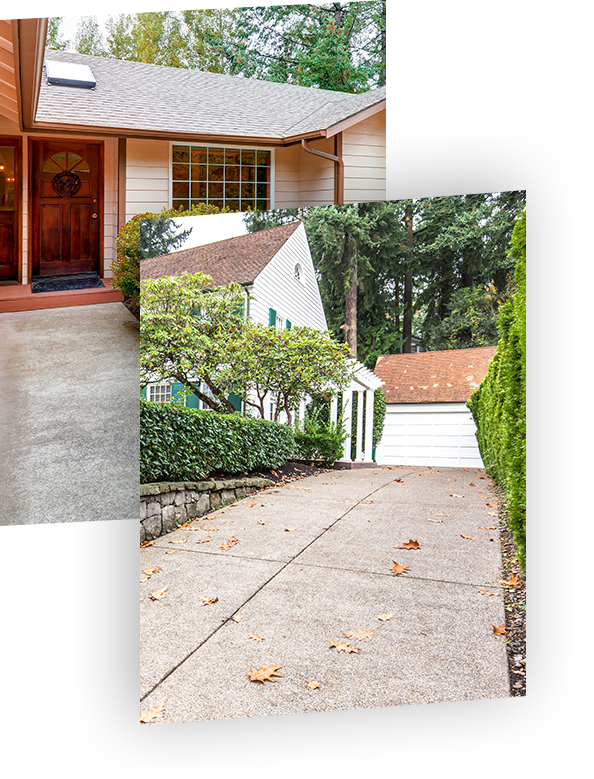 As the first thing guests will see when they enter your property, you want your driveway to appear professional and neat. A driveway also sees a lot of heavy use and will need to be adequately durable and reinforced to take on anything you throw at it. As Toronto’s top concrete contractors, we want to provide you with a concrete driveway that delivers the absolete best in durability and aesthetics. Assuming that your contractor uses high-quality concrete, upholds best practices, and provides a professional service, a concrete driveway can be unmatched regarding strength and durability. Unlike paved driveways, there aren’t individual pieces that can move or buckle with time. We balance speed of strengthening and maximum compression strength for an optimal solution. 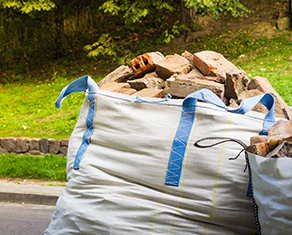 Your driveway will be used almost daily for as long as you live in your residence. That means that you need a solution that won’t fall apart over time. If a concrete driveway is adequately reinforced to protect against ground movements and treated to prevent cracks from forming on the surface over time, it represents one of the strongest options available. 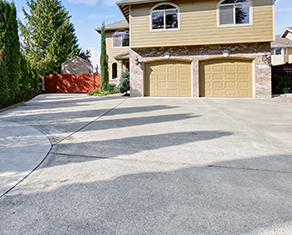 A concrete driveway is easier to clean and maintain than a paved, gravel, or asphalt driveway. You won’t have to worry about vegetation growing between the surface or about individual parts moving or breaking up over time. The quality of our workmanship also means you won’t need to make any major renovations in the near future. Just because you go with a concrete slab driveway doesn’t mean it needs to be grey, dull, and lifeless. There are plenty of decorative options available like texturing, colouring or replicating a paved appearance. A popular option is to go with a stamped concrete driveway—a service we provide. Stun your visitors with a unique effect of our stamped designs and expert craftsmanship. Only a contractor that isn’t sure of their own skill, experience, and workmanship needs to subcontract. 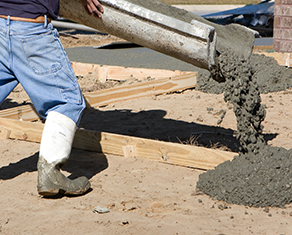 At GTA Concrete Contractors, we have the ability and the necessary expertise to take on the entire project ourselves. A concrete driveway is an intensive job that requires excavation, preparation of the landscape, concrete reinforcement, treatment, and sealing. We take care of all of this so that you can focus on your daily life, and we always clean up after a finished job. Building a concrete driveway can deliver a number of nasty surprises for those who don’t have the necessary experience. By now, we have completed enough projects to know all the tricks of the trade. We will finish your job without a hitch. No matter what service we provide, we never lose sight of what’s most important: you. We are happy to answer your questions, provide you with updates, and treat you with the utmost respect. As fellow residents of Toronto, we feel that we have an obligation to the good people of this city to deliver the best concrete construction services possible. We are proud to serve this area. 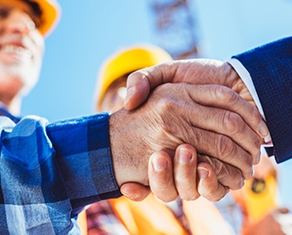 We have all the necessary licenses and certifications to provide concrete construction services as determined by the city of Toronto. We can also help you understand any permits you may need in order to make sure everything is legal and above board. Proper excavation and preparation are paramount for the success, longevity, and performance of your new concrete driveway. Don’t worry; we always clean up after ourselves too. A concrete driveway can be an expensive undertaking, and there is no shortage of unfair pricing out there. We have a standard pricing formula so that you know exactly why you are paying for. We know that having construction done on your driveway can be a real pain. That’s why we will put everything into finishing your project in as quick a timeframe as possible. Want to round off your brand new concrete driveway with a touch of style? We can help you choose a decorative finish or provide you with a stamped concrete service. Don’t wait any longer. If you live in Toronto, that new driveway, pavement, patio, or stamped concrete fixture is just a phone call away. Call us today at GTA Concrete Contractors and get a free assessment and quote.